What is your company name and department? Cisco Meraki, I work in the Network Support Team who supports the product we make. What are you using OnlineDraft for? 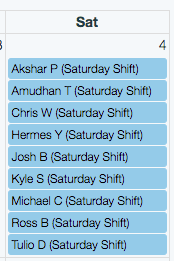 Weekend shift allocation. There are incentives to work so they are a hot commodity and we wanted a fair system. How do you conduct your draft? Does it take a couple hours, a couple of days? Start on week 1 or 2 of the month before, usually takes 2-3 weeks to finish. Due to the requirements of the job it can never run smoothly, people out, on calls, etc, it's very disjointed so it takes as long as it needs to. How many employees are using OnlineDraft? Roughly 30-40 each draft though this creeps up with each draft. 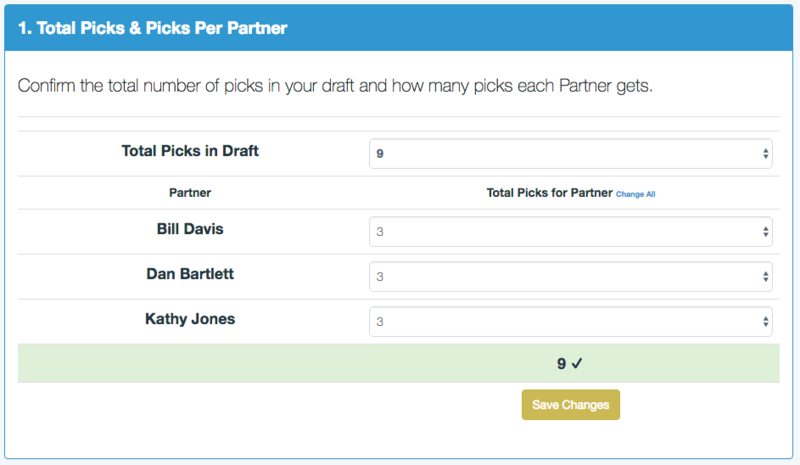 How has your process improved since you starting using OnlineDraft? It has injected fairness into a system where there was none previously so it's been an immense help in that fashion. 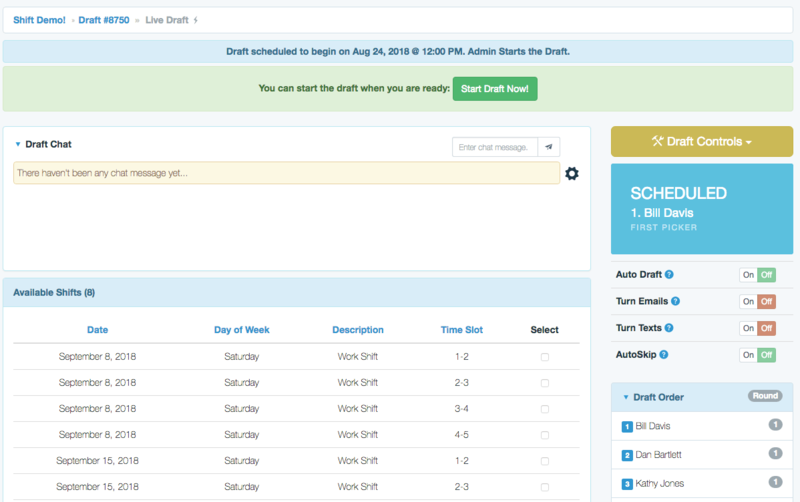 Do you and your employees use OnlineDraft to track shifts after the draft is complete? 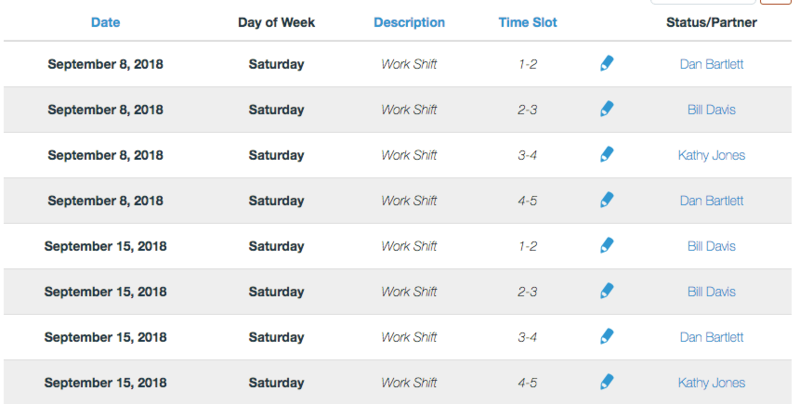 Yes, before for obvious reasons, keeping track of interested parties in weekend shifts and whatnot. Especially after the draft, where sometimes people take the wrong shift or have questions about swapping, I have an easy place to go back to for all information. It will never be 100% accurate after it's complete due to swaps but it makes my post draft job significantly easier since it takes out any complicated system for verifying things, I can just look at the specific date or day and get what I need. 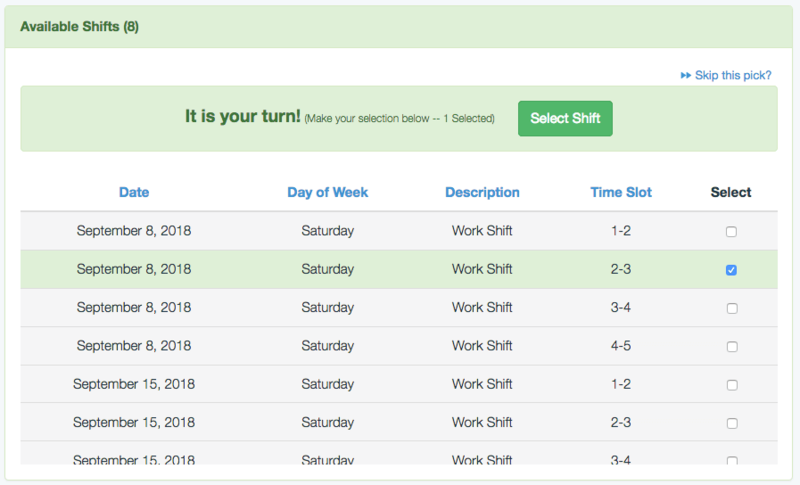 Would you recommend OnlineDraft to other business needing to allocate shifts or any other tasks or resource? Absolutely, the main selling point was configuring a draft how I wanted it to, utilizing days, different lunch hours for shifts, or even a different number of shifts on any given day. The majority of programs I looked at before finally landing on OnlineDraft all had extremely restrictive settings which failed to give me the flexibility I needed. 2. 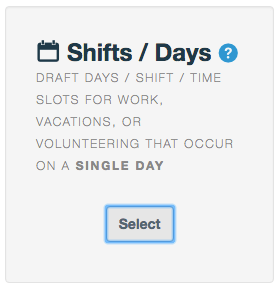 Select the group type SHIFT / DAYS. 3. 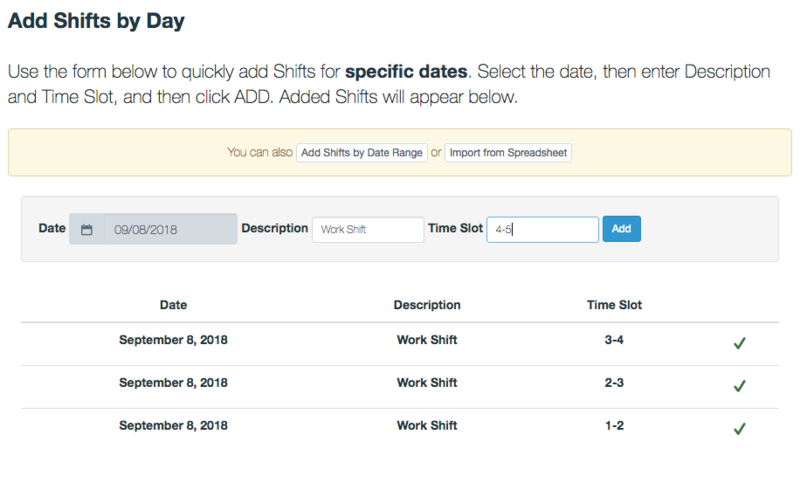 Now add the shifts... Use the Specific Days option. 4. 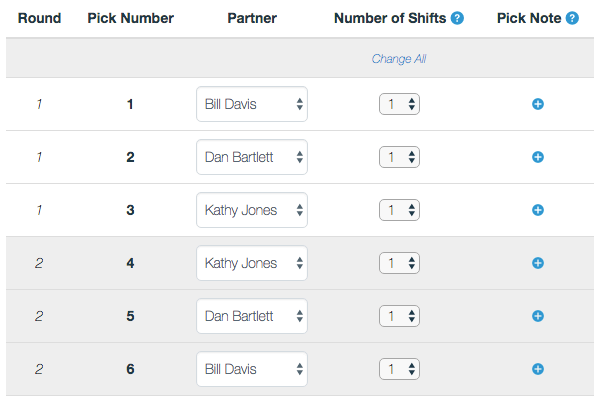 Quickly add your shifts. 5. 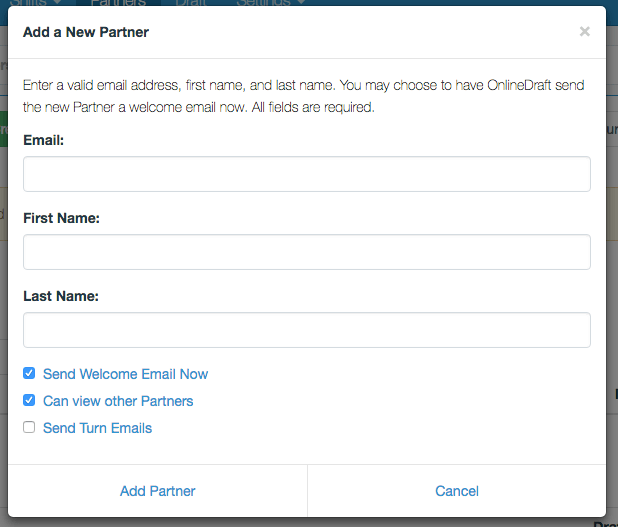 Add your partners with email address and name. 7. Set up the draft order... How many picks per partner. 8. 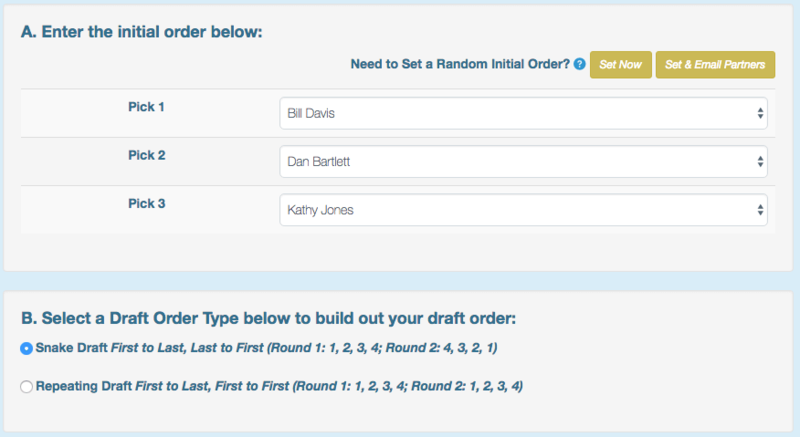 Set the initial draft order (randmoize options available). 9. Draft order set -- ready to draft! 12. Draft is Over. 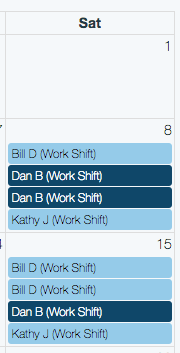 Results available to everyone in list and calendar views.